Hocking Hills - Ohio. Find It Here. Welcome to Ohio’s natural crown jewels, where unsurpassed beauty takes eco-adventure seekers along miles of trails, waterfalls, prehistoric caves and spectacular cliff-top vistas. The surrounding natural wonders inspire a robust artist community. Galleries pepper the hills and antique malls delight treasure hunters. Music fills the hills May through September at family-friendly festivals celebrating the history and Appalachian culture of the region. 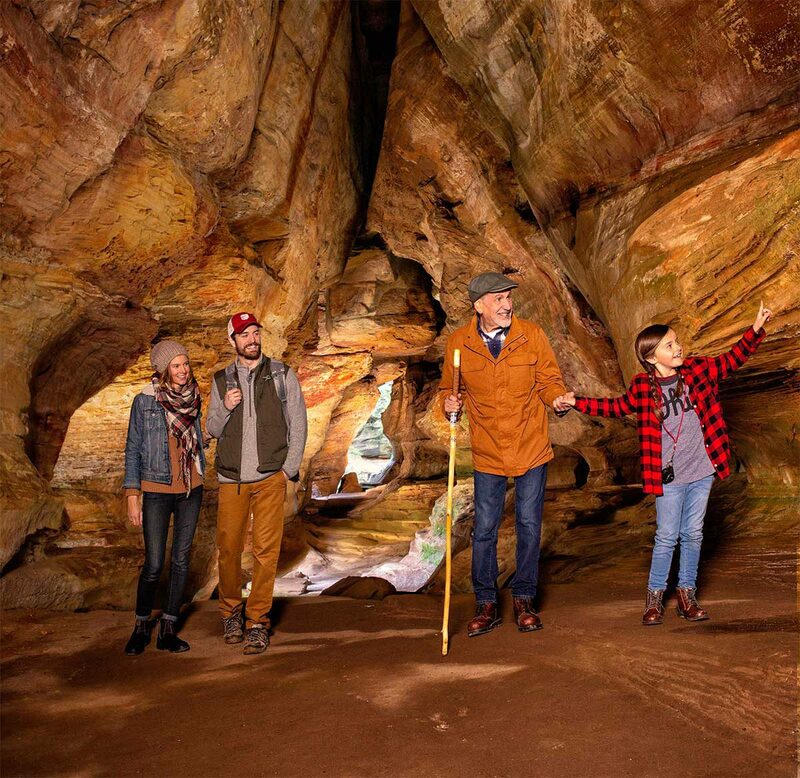 Let the official website of the Hocking Hills Tourism Association be your guide for your Ohio getaways, and help you and your family find amazing places to visit and things to do in Hocking Hills, Ohio.